Once again it is time for Dewey’s 24 hour readathon. This will be my first October readathon, since it is the first year I don’t have exams a few days after it. I do have a huge deadline though, that I will have to work with a little bit during the readathon hours, but hopefully I will spend most of the time reading, reading and reading some more. I did not make the full 24 hours in April, so I will probably sleep for a while as well during the readathon. I might try for the full 24 hours, but I don’t think I will manage. Below I’ve listed the books I will try to read. As last time I have listed more books than I know I will be able to read, but that just mean I have a greater pile to choose from when I want something new to read. About the book: The narrator of Atwood’s riveting novel calls himself Snowman. 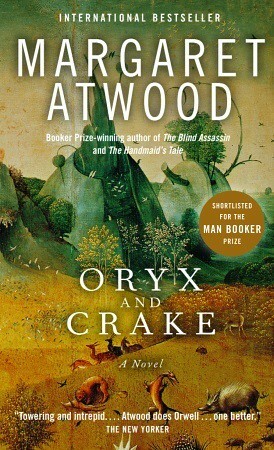 When the story opens, he is sleeping in a tree, wearing an old bedsheet, mourning the loss of his beloved Oryx and his best friend Crake, and slowly starving to death. Why I chose it: I am already reading this book and had planned to finish it before the readathon. I was actually supposed to send it to another reader in September, but I have not found the time to sit down and read it. So this will be perfect for the readathon! About the book: ”Britt-Marie was here” is a love story and a love declaration. About a woman who has waited a whole life on hers to begin, about society along roads where soccer and pizza places are the last things that abandon the people. Why I chose it: I’ve read one of his other books ”Min mormor hälsar och säger förlåt” (My Grandmother Asked Me to Tell You She’s Sorry) and I loved it. This is kind of a sequel to this book, and I hope to get to know more about this one character that I already knew since before. I think this is a book that will keep me reading! 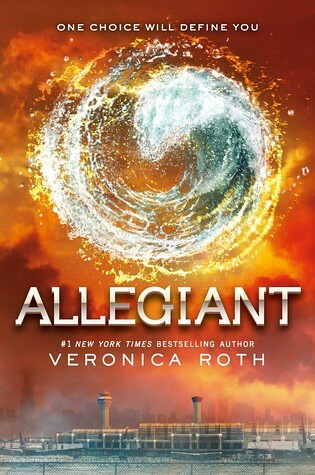 About the book: The faction-based society that Tris Prior once believed in is shattered – fractured by violence and power struggles and scarred by loss and betrayal. So when offered a chance to explore the world past the limits she’s known, Tris is ready. Perhaps beyond the fence, she and Tobias will find a simple new life together, free from complicated lies, tangled loyalties, and painful memories. Why I chose it: I finished the second book in the series during the past readathon, and thought it was only right to have the sequel on the list for this readathon. I really enjoyed the last book, so I hope this book will keep me occupied as well. 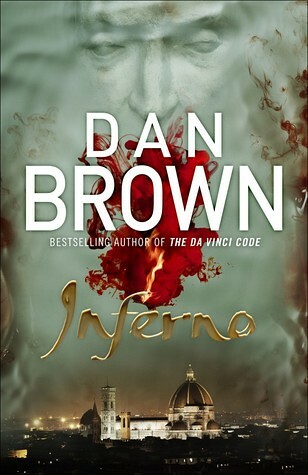 About the book: In the heart of Italy, Harvard professor of symbology Robert Langdon is drawn into a harrowing world centered on one of history’s most enduring and mysterious literary masterpieces . . . Dante’s Inferno. Why I chose it: I read a Dan Brown book during my first readathon, and I know that his books usually keep me trapped turning pages. This is thus a perfect choice for a readathon book, and if this is one of the book I pick up during the hours I hopefully will not stray far from the pages. About the book: Life begins at 16 … Driving. Dating. A real social life. And the one night where it all comes together … the Sweet Sixteen is the ultimate party. Whether a total blast or a total bust, it’s a memory to last a lifetime. This is a series by different authors that all focus on or around a 16th birthday party. Why I chose it: These are short and easy reads that I can turn to if the other reads feel to heavy or boring. I read the first two in the series at a young age (around 12-14), and I have no recollection of reading the third even though I’ve owned it since then, and the fifth I know I have not read since I bought it from a second-hand store a few years back when I recognized the series cover. I own all of these translated to Swedish. I have some seafood salad (skagenröra) to put on sandwiches, some coleslaw and falafel to eat and a partner that will hopefully provide me with fully cooked meals at least twice during the readathon! Now I will head off to sleep a few hours before the reading begins. 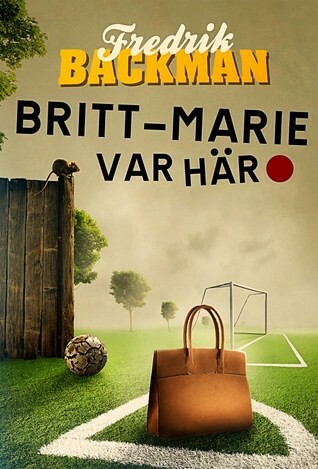 Detta inlägg postades i Readathon och märktes bok, Dan Brown, Dewey's Read-a-Thon, Fredrik Backman, Margaret Atwood, Världens bästa party, Veronica Roth den 17 oktober 2015 av Rävöra.